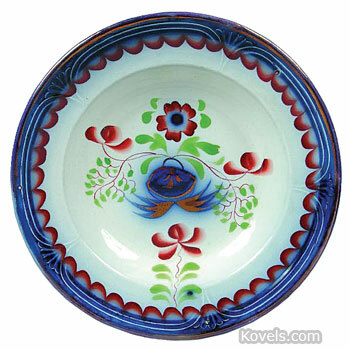 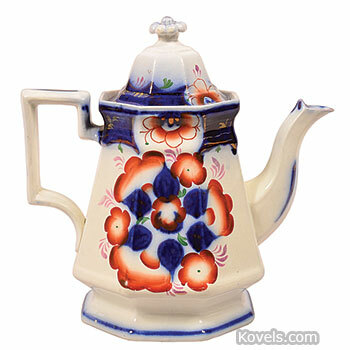 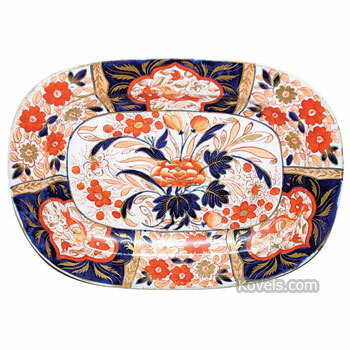 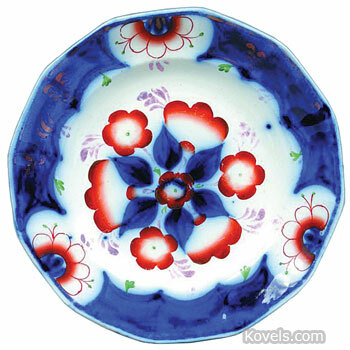 Gaudy ironstone is the collector's name for the ironstone wares with the bright patterns similar to Gaudy Dutch. 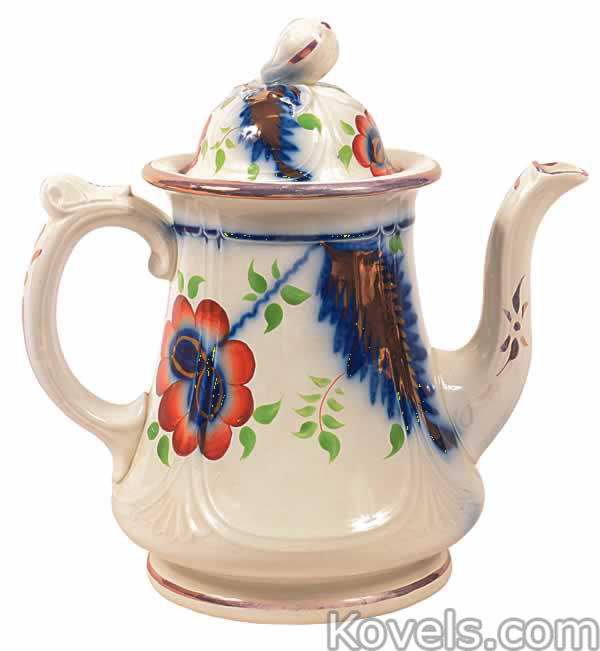 It was made in England for the American market after 1850. 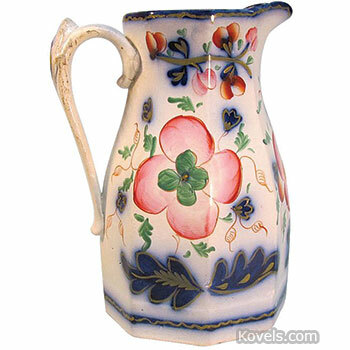 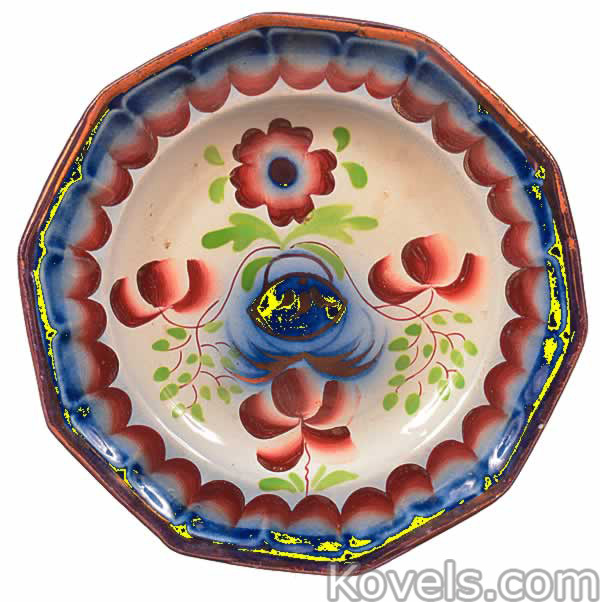 Gaudy ironstone was popular from 1855 to 1865 and had bright colors, luster, or gold included as decorations. 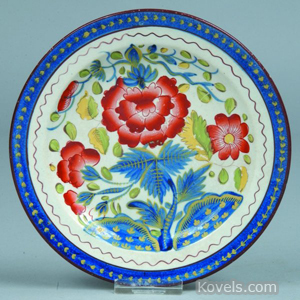 There may be other examples found in the listing for Ironstone or under the name of the ceramic factory.